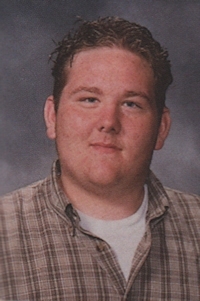 Obituary – Johnson, Nichlos “Nick” DeWayne « Perry High School Alumni Association, Inc.
Nichlos Nick DeWayne Johnson, 25, was born on December 5, 1985 in Okeene, Oklahoma to Larry and Kristal Clark Johnson. He died on Sunday, October 9, 2011 at OU Medical Center Presbyterian Tower in Oklahoma City, Oklahoma due to internal injuries received in a tragic traffic accident on Saturday on Hwy 64. He was a graduate of Perry High School and worked at Green Valley Nursing Home in Perry, Oklahoma. Nick was a very loyal and caring person. He loved to cook, his favorite being banana nut bread. He carried his passion to his workplace where he also cared and demanded respect for the residents he was there to serve. You could always find him running errands, making household repairs or lending a hand to friends and family no matter the time or place and he never expected anything in return. He was eager to give anything he had to help out a friend in need and his friends and family were ready to do the same. His smile, his laugh and his warm hugs will be deeply missed by all who had the chance to be touched by his presence. 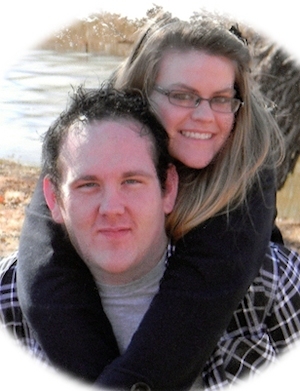 Memorial services will be 2:00 p.m., Friday, October 14, 2011 at the Assembly of God Church in Perry, Oklahoma. Sybol Day will officiate and will be assisted by Pastor Brett Nation. Services are under the direction of BrownDugger Funeral Home. Memorials may be made to the March of Dimes in care of BrownDugger Funeral Home, 1010 N. 7th Street, Perry, Oklahoma 73077. Nick is survived by his fianceacute Rejeanna Robbins, his mother Kristal JohnsonSpears and his stepfather Mark Spears all of Perry, Oklahoma, his father, Larry Johnson of North Carolina one sister, Jessica Johnson of Stillwater, Oklahoma one brother, Sean Johnson of Perry, Oklahoma five uncles, Preston Clark and his wife, Ginny of Camas, Washington, Michael Sham and his wife, Colleen of Merritt Island, Florida, Paul Clark and his wife Laura of Oklahoma City, Oklahoma, Richard Johnson of Enid, Oklahoma and Zachary Clark one aunt, Anity Elzy of Mississippi one grandmother, Carol Owen and countless cousins and friends. He is preceded in death by one grandmother, Tressie Joan Cordell, his great grandmother, Sarah Sadie Cordell, and his grandfather, Donald Ralph Clark.